Vole shells are Melon Conchs. They belong to the family of Melongenidae. 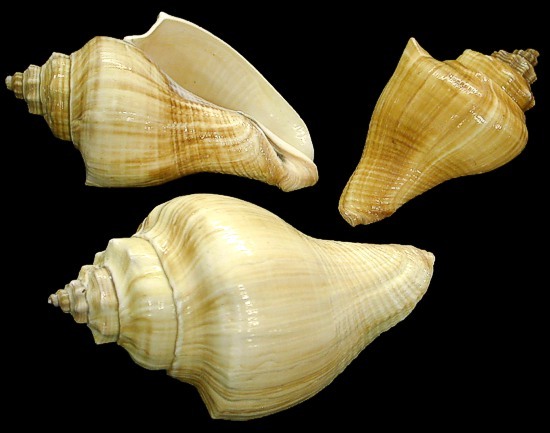 These species dwells in shallow, tropical seas and includes some of the largest shells known. Their apertures are large, siphonal canals long and body whorls smooth and sometimes spiny. Most Voles are found in brackish water in mud or sand. All Voles are carnivorous, feeding on clams and sea snails. The species offered is from Indo-Pacific region.